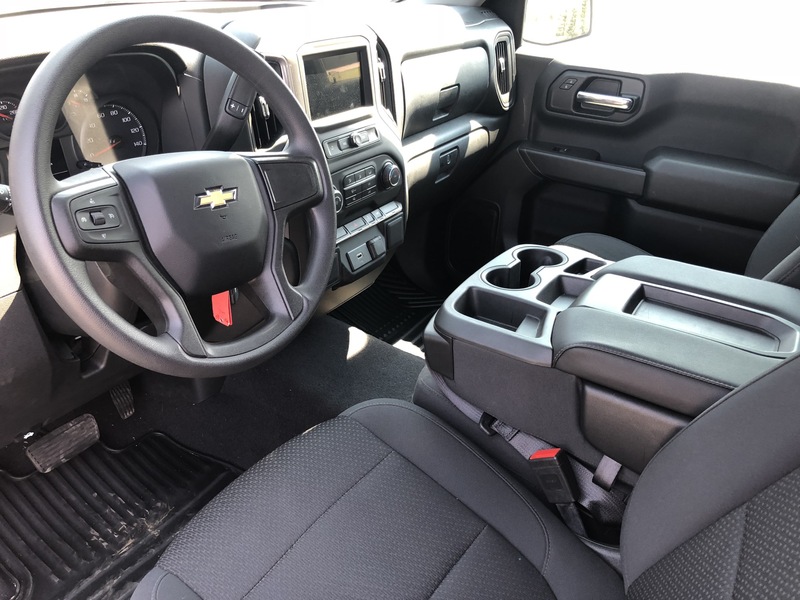 Our launch coverage of Chevy’s all-new fourth-generation Silverado continues, this time with interior photos of the 2019 Silverado Custom (as per popular demand). As we explained when showing you the exterior photos, the Silverado Custom (equipment group 1CX) is based on the base Silverado work truck and features a body-color styling scheme. The interior doesn’t stray too far from that of the Work Truck trim. Here’s our guided photo tour. The only available configuration for the front seats is the 40/20/40 split-bench in a Jet Black cloth color (H1T). Both of the front chairs feature 4-way manual seat adjusters.